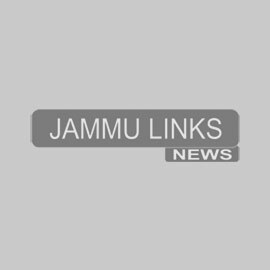 JAMMU: Panthic Morcha (J&K), has cleared the name of former member of DGPC Jammu as common candidate of the community for Jammu-Poonch Lok Sabha constituency. Talking to the media persons here, Jathedar Mohinder Singh and Advocate Surinder Singh said that after discussion with various Sikh religious and social organisations it was unanimously decided that Avtar Singh Khalsa will be common candidate for the Jammu-Poonch Lok Sabha seat. They said the need of contesting the forthcoming elections has been felt as Sikh community has been neglected completely in social, economically and the religious matters. The dispensations at the State and at the Central level have always betrayed the Sikh community. They further said that the practice of nominating Sikh members in the State Legislature and the State Cabinet has been dispensed with by the people at the helm of affairs. Although Sikh community made great contributions in the freedom movement of the country and they acted as saviors during Pakistani raiders in 1947, but their contribution is not being recognized. The community feels alienated at the hands of present dispensation. Therefore, the community felt the need to contest elections. The decision was taken in pursuance to the suggestions expressed in the meeting held on March 15 at Gurdwara Tali Sahib Talab Tillo, where all the members from various organisations supported the candidature of S Avtar Singh Khalsa for Jammu-Poonch Lok Sabha seat. They also sought support from Akali Dal, Punjab. They appealed the community members to fully support to their own candidate in the coming elections.